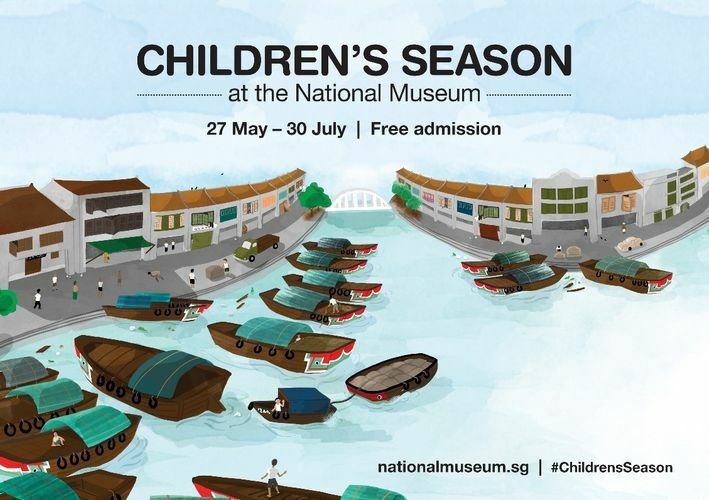 Be transported to a wonderland of discovery and play at the National Museum this Children’s Season! Look forward to pop-ups of favourite Singapore family hangouts of the 1970s and 1980s, and a new interactive roving theatre that will take you around the museum’s galleries and spaces. Families can “hop on” their favourite mode of transport and go on a trail to “join the dots” and experience “connections” of friendship, family, monuments and memories through interactive exhibits, sensorial stations, hands-on play, story-telling sessions and more! Not to be missed are fantastical installations from French artists that will inspire and delight you. Young Cinema will also present well-known animated cartoons and children’s classics from around the world. For more information, please visit www.nationalmuseum.sg.